What could that datatype possible mean? Read my blog post on an ER/Studio secret over on Embarcadero’s Community site and find out. I recently wrote a whitepaper, sponsored by Neo4j, on how your master data (think cross-application data like CUSTOMER, PRODUCT, ORGANIZATION, etc.) is much more valuable to your organization if you can leverage the relationships between the data. You might think that relational databases are all about relationships, but they aren’t. The relational in relational database comes from the fact that data is a relation (a table-like structure of columns and rows). The best thing we have for describing relationships in a relational database is a foreign key (FK). An FK is a constraint between two tables. In a relational database, FKs enforce integrity between exactly two tables. But in the real world, relationships are more than constraints. They are implied, inferred and, maybe even just plausible. That’s not a constraint; that’s a relationship. And these relationships often exist because they span multiple tables. Think about CUSTOMERs that are related because they live at ADDRESSes near each other, they have TRANSACTIONs at the same RETAIL STORE and they buy the same PRODUCTs and SERVICEs. That’s a specific relationship, one that has nothing to do with foreign keys. Note that while Neo Technology sponsored this paper, they had no editorial control over its content. I think this one will be a lot of fun. Kamile and I have worked together on many things over the years. She and I share the same sort of sense of humour. You have been warned. 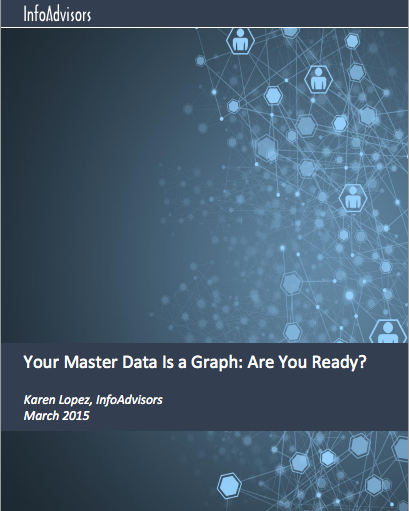 Webinar: Your Master Data is a Graph: Are You Ready? As you tackle your ongoing Master Data Management challenges, it’s important to keep a few things in mind: Hierarchies don’t really exist Relational isn’t about relationships Foreign keys aren’t relationships, but constraints It’s crazy, isn’t it? Join Master Data Management expert Karen Lopez and Neo Technology’s Kami Nixon as they discuss today’s MDM requirements and explore the companies that are getting MDM right. Karen Lopez has more than 20 years of data architecture and database design experience. She specializes in the practical application of design approaches, balancing development time frames with the need to deliver solutions that will support business agility and data quality needs. Known for her practical and sometimes snarky views on the data world, Karen works to find the right tools for the job, even if it means learning something new. She wants you to love your data. 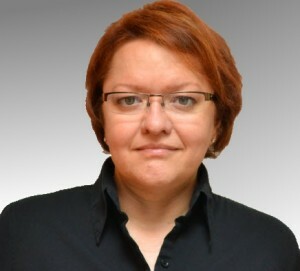 A recipient of the 2012 “Graphie”, Kamille was a fan of Neo4j for several years before she happily joined the team. Kamille has helped several successful database companies (DataStax, Comindware and Embarcadero Technologies) to identify and execute on market trends so they could pull ahead of the pack. Her efforts have led to doubled vertical bookings, increases by 30% to 100% in year-over-year revenue, and several awards. In addition to the Graphie, Kamille has received several other commendations, including co-authoring with Karen Lopez story #5 in Information Management’s Top 10 for 2011, and Best Investigative Journalism in a national competition.